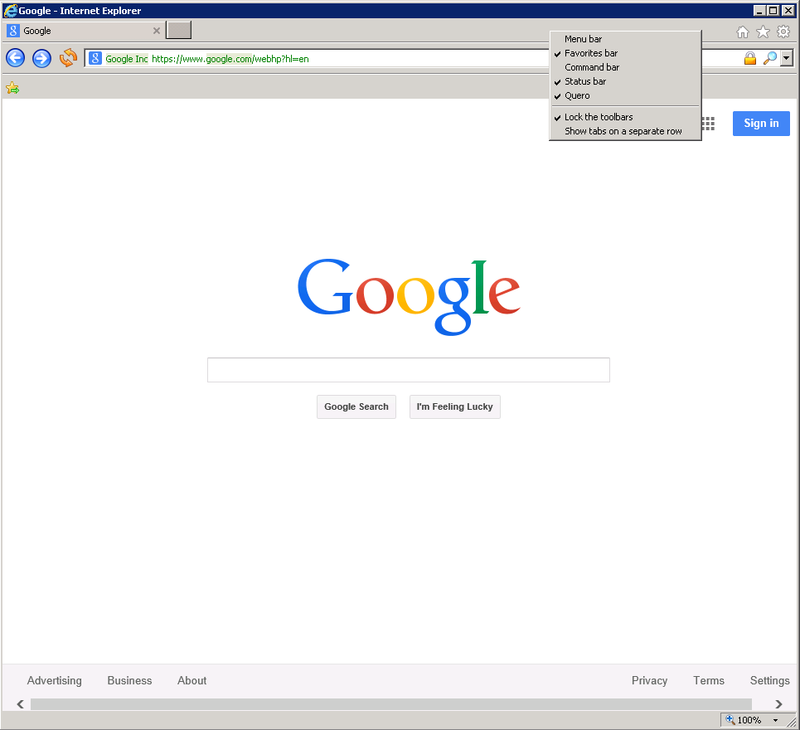 Internet Explorer 11 is difficult to use and difficult to customize. 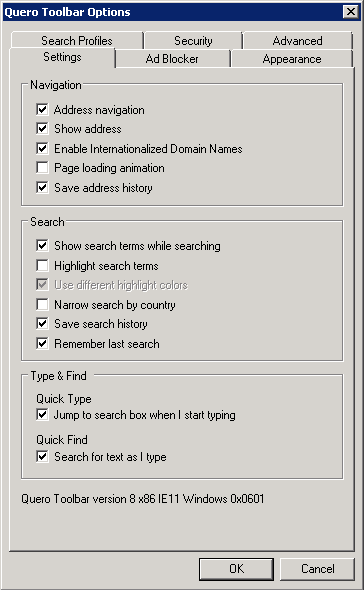 Here is a way to make it easier to use. 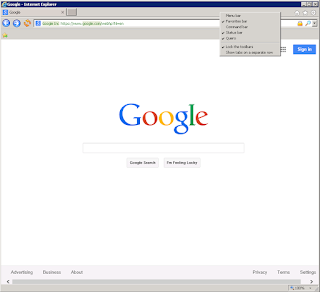 The usual methods of customizing the user interface that worked with previous generations of the Internet Explorer browser no longer work. 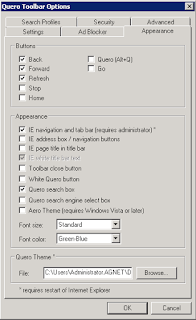 A way to work around this is to make the best of the IE settings available and then disable the components that no longer allow customization, replacing them with an add-on extension. 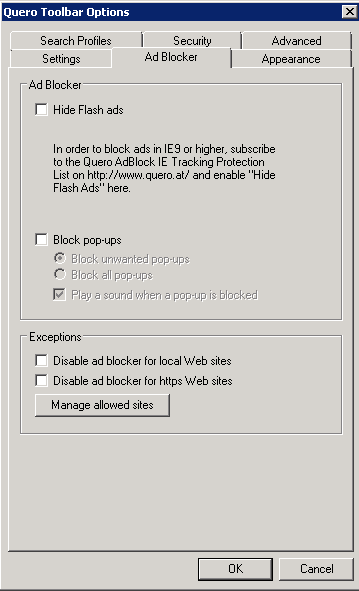 One such extension is the Quero Toolbar it installs in a fairly confusing default state. 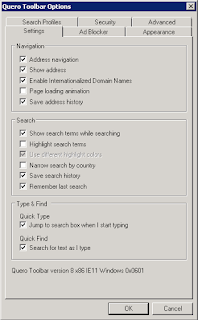 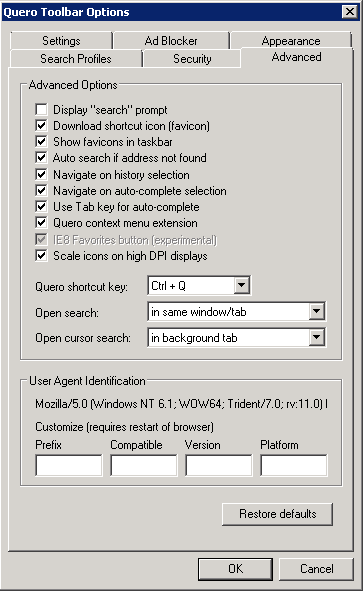 To reach the state as displayed in the first image of this article, first download and install Quero Toolbar then open IE11 and press ALT+Q to get to its configuration menu. 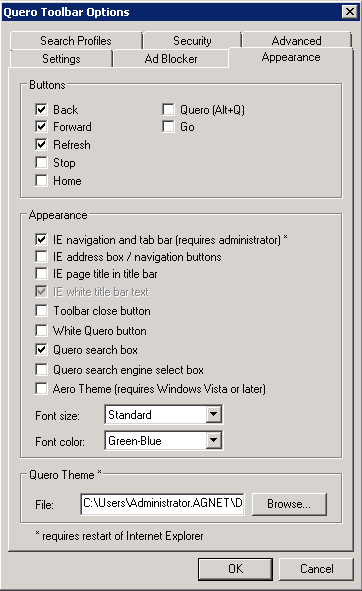 The default navigational icons will not be the colorful ones in these images, to get those you will need to visit the Quero Themes page and download the Crystal Theme, it consists of one DLL which contains the icons, save it to a place like your Documents directory, then visit the Tab3 - Appearance tab from the Quero ALT+Q configuration menu and select the Theme by pressing the browse button at the bottom of the tab and selecting the Theme DLL. 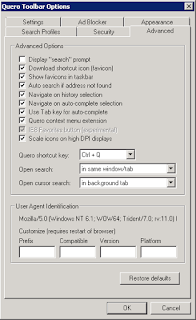 All Browsers (IE, FF, Cr) have a hardware acceleration option. 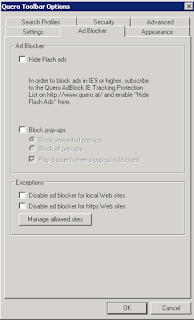 In general it attempts to offload some of the rendering to the local GPU.. in general it doesn't work very well and can cause problems and crashes. 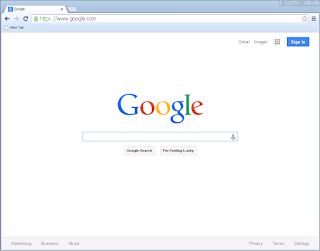 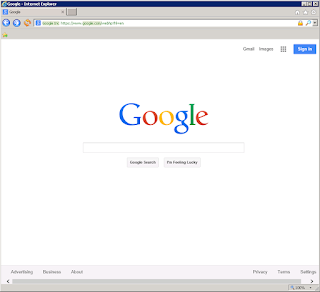 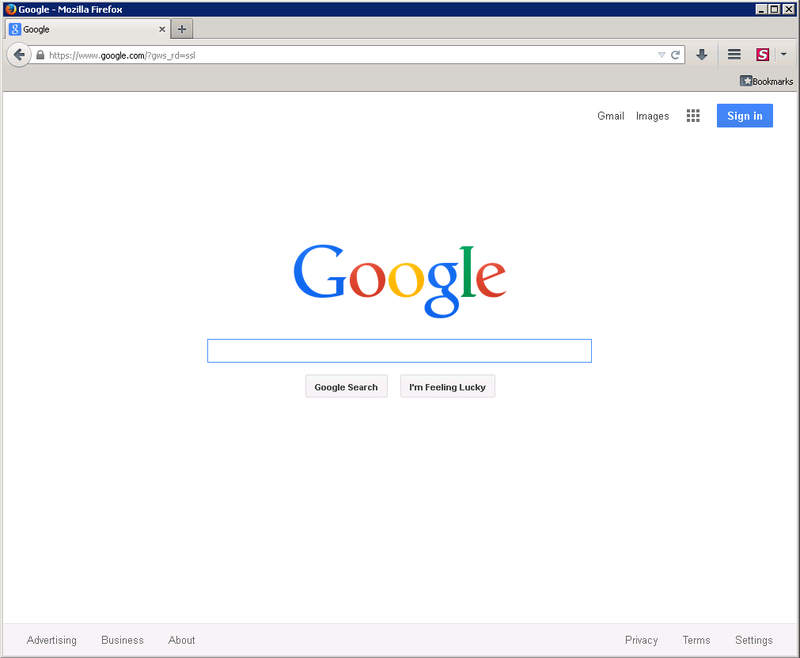 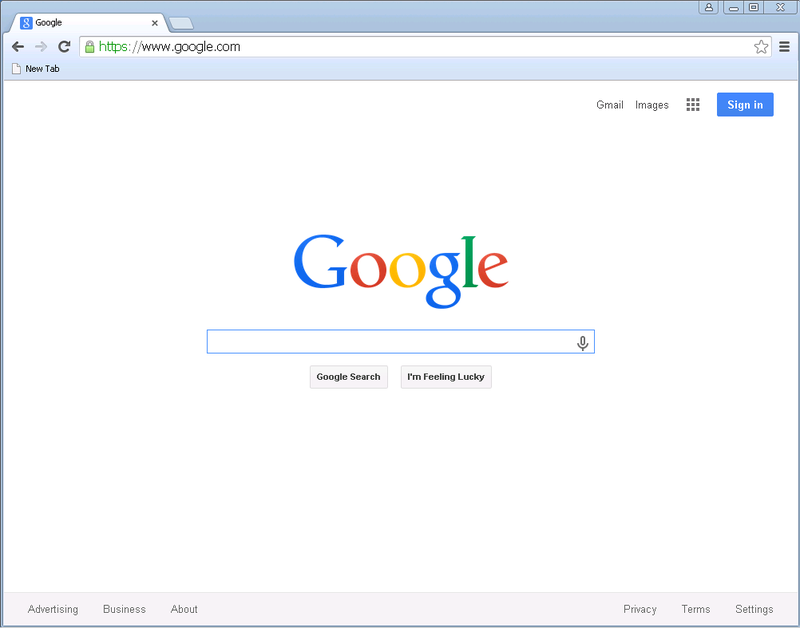 The end result is a browser with a viewing and control profile very similar to what can be acheived in Firefox and Chrome. 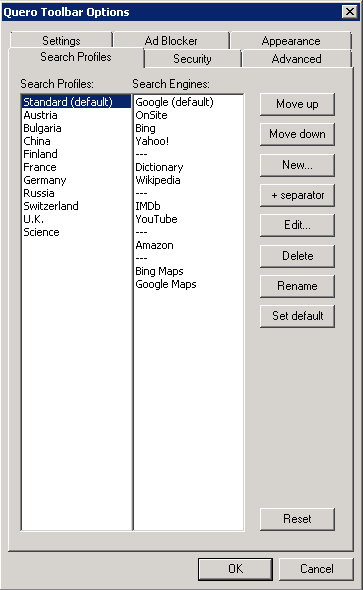 note: while I am aware it is possible to go even further and make them virtually identical, this article was merely a quick demonstration of concept. 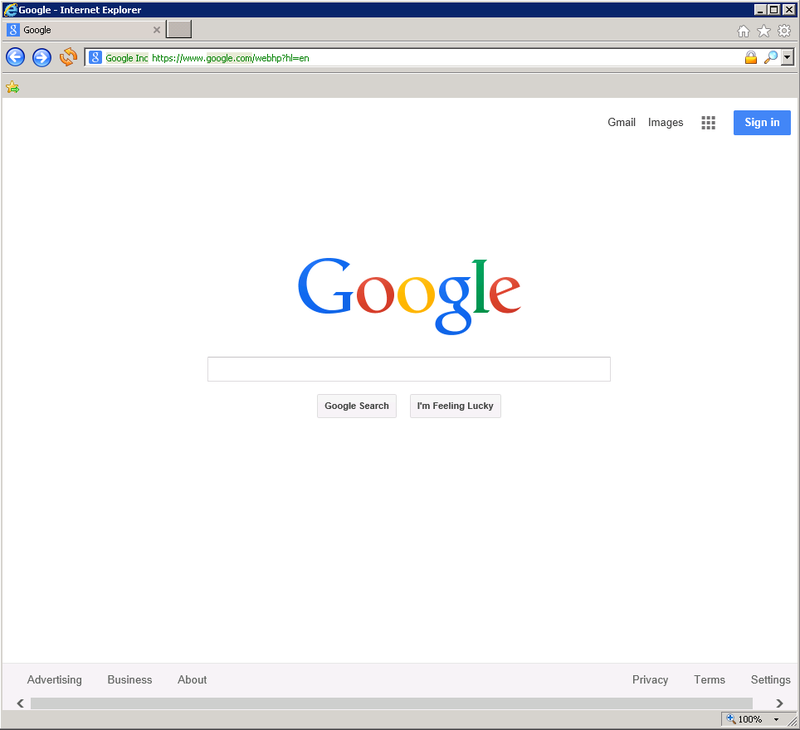 current browsers are more similar than they are different in form and function, and regardless of their underlying differences can reach broader audiences by conforming to more common user interface elements.